"An Irish Community Supporting Ken leaflet distribution from Kilburn Tube Station up to Cricklewood. "We hope to have at least 100 Irish people out on Kilburn High Road -- the heart of the Irish community, talking to shoppers and urging Irish voters especially to support Ken Livingstone. Ken has always supported the Irish community, he has been good for our community and deserves our support. He needs that support now and we hope as many of you as possible will come out on April 12. "Starting from Kilburn tube station, we will head off up Kilburn High Road at 11.30am, collect some election leaflets and reach out to the Irish community in Brent & Harrow." Few people came out in support. The Irish in London have grown up. The Galtymore dance hall in Cricklewood will close next month. It is the last of the huge London venues where the Irish socialised exclusively with the Irish. In the 1980s I once went to the National -- its equivalent in Kilburn -- to hear the Wolfe Tones sing badly-written ballads of anti-English bigotry: outside, the police were ignoring the men selling IRA badges and collecting for the lads. The occasion symbolised everything that was depressing about the Irish ghettoes of the time. Ken was bad, bad, bad for the Irish, whom -- like other immigrant communities -- he sought to infantilise, radicalise and control. As leader of the Greater London Council from 1981 until 1986, when a maddened Margaret Thatcher abolished the institution from under him, Livingstone divided and conquered Londoners, just as he would do again as mayor from 2000 to midnight last Friday. Ken's technique was straightforward. He sought out groups that could be defined by racial, religious, sexual or other characteristics and fostered those differences. He encouraged them to stress their separateness from the society around them, to think of themselves as victims oppressed by the majority and to compete with other "communities" -- like lesbians and Muslims and Ethiopians and Chinese and communists -- for the taxpayers' money he squandered in the name of equality. Under Ken's tutelage, so-called Irish community leaders stressed the MOPE (Most Oppressed People Ever) view of our history, urged people who had settled in London to define themselves as an ethnic minority as this would strengthen their arm in fighting for grants and jobs in the equality industry. It used to madden me that the highly articulate Irish were taking resources away from Bangladeshi women without a word of English. Ken and his kind were not always involved in helping the poor ould fellas in Kilburn pubs who had been mistreated by rapacious Irish gangmasters and lived in loneliness and poverty. Instead he and his supporters pandered to their lowest instincts. When Livingstone went to Northern Ireland to meet Gerry Adams at a time when the IRA was bombing London, he told the media that the British had treated the Irish worse than Hitler had treated the Jews. Over the last few months, fighting the mayoral election, Ken was still at it. The organisations under his control began a heavy programme of advertising their wares in the ethnic press. Boris Johnson, his Conservative opponent, was vilified as a racist, xenophobe Old Etonian toff who should be despised by all. Yet Ken was fighting a tide he could not control. After the bombings of 7/7 when 52 Londoners were murdered by British-born Islamists, the policy of multiculturalism that he pioneered and still defends was finally discredited. And its inherent contradictions were starkly exposed by his lionising of Yusuf al-Qaradawi, head of the European Council for Fatwa and Research, who enthusiastically backs suicide bombings of Israeli civilians and has no problem about Islamic states executing gays. Though embracing Qaradawi won Ken even more votes among Muslims, it didn't go down too well elsewhere. Only a few years ago, the news that Boris Johnson had defeated Livingstone would have had tens of thousands of first, second and third generation Irish in London howling into their Guinness. 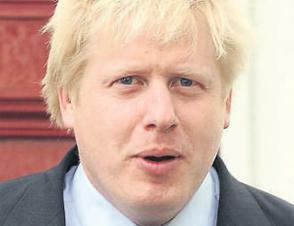 But Boris's benign message about making London a more united and happy city has struck a chord with many. At the election party I attended, the Irish -- along with Asians, Chinese, English and gays -- cheered Boris to the rafters.